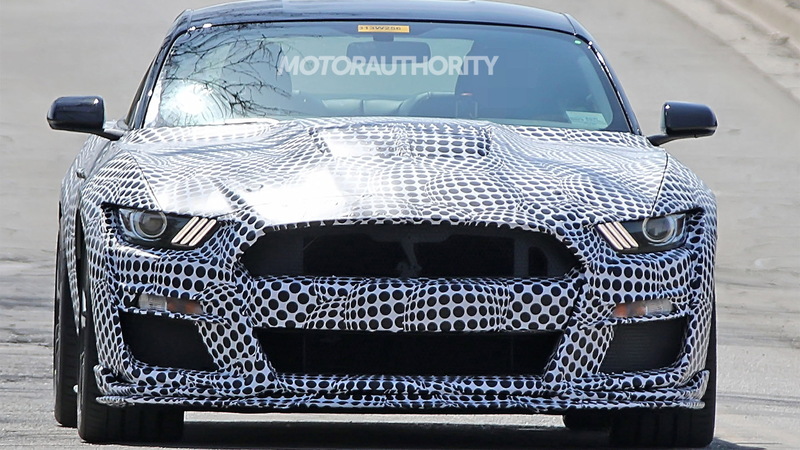 Behold the slippery snake that will sit atop the nuclear warhead posing as an engine in Ford's next Mustang Shelby GT500. 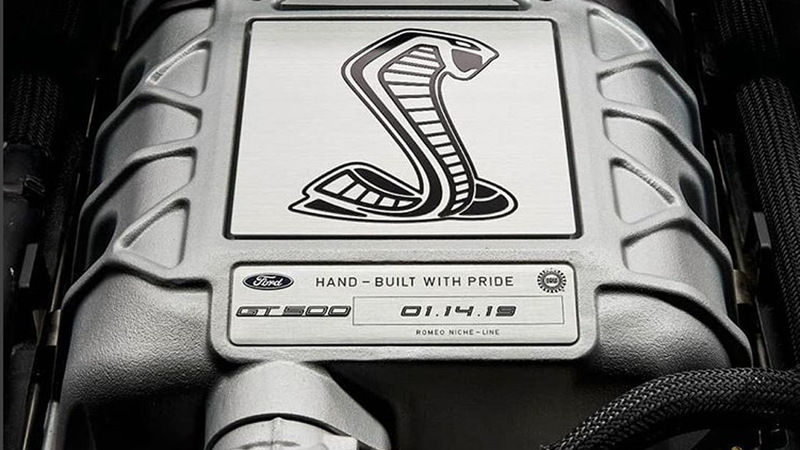 After confirming on Wednesday the debut of the new GT500 at the 2019 North American International Auto Show in Detroit next January, Ford on Thursday released a new teaser photo showing the car's engine and famous “super snake” logo. The portion shown is the housing for the supercharger that will aid the 5.2-liter V-8 powering the car. 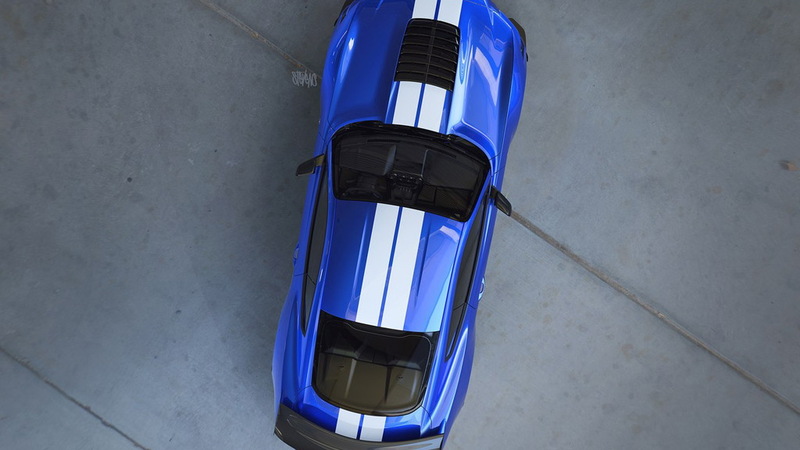 The engine is expected to skip the flat-plane crank of the naturally aspirated 5.2-liter V-8 used in the Mustang Shelby GT350, and all Ford is willing to say is that we'll see output dialed higher than 700 horsepower. The teaser also confirms that the GT500's engine will be hand-built on the low-volume (“niche”) line at Ford's engine plant in Romeo, Michigan. This is where the previous GT500's engine was built as well as earlier Ford performance engines like the one in the SVT Mustang Cobra of the 1990s. Other rumored details for the modern GT500 include a 7-speed dual-clutch transmission borrowed from the Ford GT supercar, a set of 20-inch wheels with 315-millimeter tires at the rear, an uprated Brembo brake package, and a new front fascia. The latter was revealed in a leaked photo taken a dealer preview held in October. Along with the release of the latest teaser, Ford confirmed the start of sales in the fall of 2019. The car will arrive as a 2020 model and it isn't clear if more than one year of production is planned. 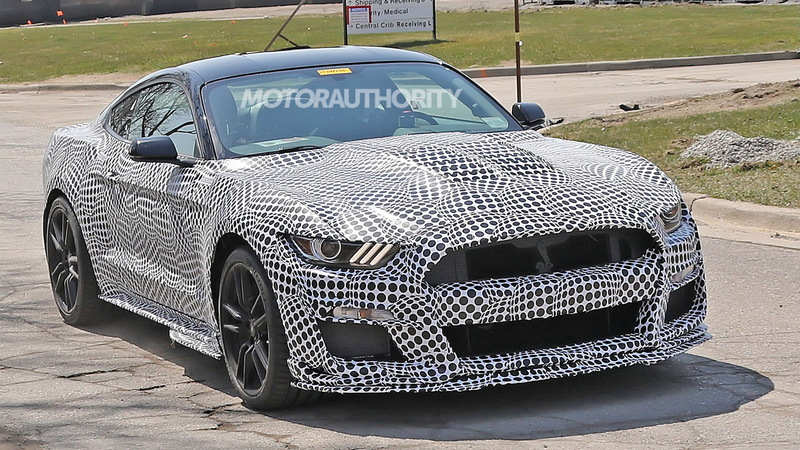 A redesigned Mustang is expected in 2021, likely as a 2022 model. 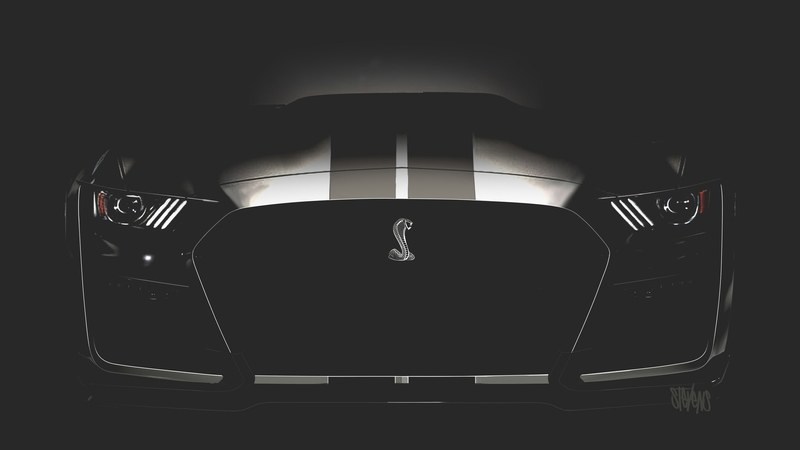 The covers will come off the 2020 Ford Mustang Shelby GT500 in Detroit on January 14. Stay tuned.